This shell is in very good condition, there is evidence of a small hole as seen in photos 10 & 11. The giant clam shell is the largest of the bi-valve molluscs found in the World and they can live for around 100 years. 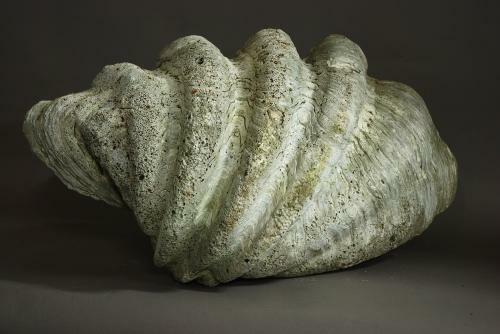 This giant clam shell is a genuine shell and not a reproduction. The shell could be used for a various display purposes both inside a property as well as outside in a garden.